Local resident Diane Carr was the guest of honor at a bridal shower organized by Mrs. Jerr Oberg and Mrs. Clarence Haak. Guests included Mona and Julie Hunt; Happy, Gail and Sue Rehberg, Betty and Vicki Roth, Clara Marchbank, Lu Sarver, Lil Johnson, Gladys Stormer, Thelma Carr, Bernice Cheryl and Denise Carr. "Games were played and cake and coffee was served," The News reported. "Diane received many useful and lovely gifts." Current showings at the Broadway Theatre included "Cool Hand Luke" and "Flaming Frontier." Barton Church was preparing for its 30th anniversary, along with the dedication of a new annex and bell tower. During the celebration, previous pastors would be honored at the morning worship service and congregants would share their memories and involvement in the church during the evening service. There was also a potluck dinner. Items from the newspaper's community calendar 30 years ago included a meeting of Dads Against Drugs, a gathering of daycare providers in the Estacada and Eagle Creek areas and the fifth annual Montana in Oregon Picnic. During the event, people from Montana who had moved to Oregon were invited to congregate. James and Betty Berry celebrated 50 years of marriage on Sept. 5. 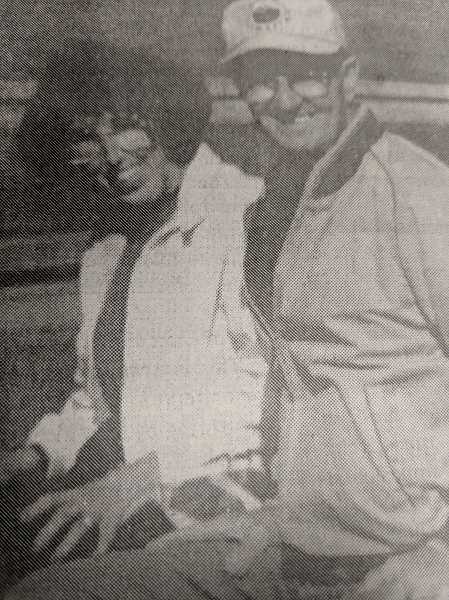 Several decades after their wedding in California, they moved to Oregon. They had four children, four grandchildren and four great-grandchildren. The children sent this message to their parents, which was printed in the newspaper: "Congratulations, Pops and Mom. Both of you have been great parents. We thank you for the unconditional love you have shown us, the family values you instilled us and the discipline and respect you taught us." Philip Foster Farm would soon host the Alpaca Country Faire, which would feature 20 local alpaca breeders and their animals, vendors, spinners and live entertainment. Estacada resident Lori Katz wrote a letter to the editor praising the library. "Our Estacada Public Library is a treasure," she wrote. "I love hanging out at the library. It's so quiet and peaceful and lovely to look out the window at the geese and ducks floating by . . .Compared to the fleeting pleasures of a cup of coffee at a local hangout, or a freshly made donut, the library's impact can be lifelong, inspirational and revolutionary." World travelers and video bloggers Mark and Juliana Spicoluk had recently stop by Estacada for a yoga session at Out to Pasture Animal Sanctuary. The husband and wife team, founders of lifestyle and travel YouTube channel Boho Beautiful, were embarking on their Positive Movement Tour, which brought yoga classes to nonprofit organizations across the United States. Attendees of the Out to Pasture event did yoga poses surrounded by animals, and proceeds benefited the sanctuary.